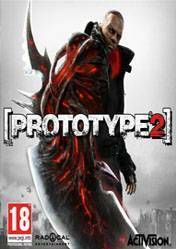 The sequel to Radical Entertainment’s best-selling open-world action game of 2009, PROTOTYPE® 2 takes the unsurpassed carnage of the original PROTOTYPE and continues the experience of becoming the ultimate shape-shifting weapon. You are Sgt James Heller, husband to a deceased wife and child and a soldier left simply to die. As the game’s all-new infected protagonist, players will experience Sgt James Heller cutting a bloody swathe through the wastelands of post-viral New York Zero. Equipped with unparalleled new shapeshifting powers,players will gradually build a vast genetic arsenal of deadly new biological weapons and abilities as they hunt, kill and consume their way toward the ultimate goal – to kill…Alex…Mercer! Are you ready to murder your maker? The story isn't tat special but it's an awesome game to play. Love to free roam and just kill anything in sight. You have special powers for agilit,combat and health. The first one was also good! Get ready to experience the whole truth about the virus infecting the whole city, the monsters roaming it your and newly awakened powers. Go out there, collect clues, kill everyone in your way and finally face your maker. It's kinda simple; no big deal on the story, very decent gameplay once you adapted to the controls and an amazing post-apocalyptic feeling in the city roames by virus infected zombies. Also you get to use a bunch of nice alien-like abilities with some of whichthe look very organic while others look kinda like some metal claw and blade stuff.